What are your 3 essential make-up brushes? (T-L) Real Techniques Expert Face Brush: synthetic brush with an oval shape. I absolutely love how dense this brush is without being too thick or too hard. Very soft on the skin, this is perfect to apply liquid foundation. I normally use it with powder as well, because I only apply it in my t-zone and under my eyes. Finally this brush can be also used for cream blush. (T-R) MAC short angled brush #263: synthetic brush, it can be used to apply gel liner but also eyebrow gel. It is tiny and extremely thin, which enables you to be extremely precise. Another small tip for you: after applying lipstick, dip this brush into your favorite cream concealer and clean up the outer lip line to give sharpness. (B-L) Real Techniques Base Shadow Brush (starter set): synthetic brush, it looks like MAC’s 217 brush. I use this to blend out the color in my crease. However, it can also be used to apply your base eyeshadow in the lid and also to create a smokey eye effect in the outer V because if its slight pointy tip. Last, but not least, do not forget to clean your brushes! My favorite cleanser is from MAC. I do not use it from the bottle but I just put some in a spray bottle (from Sephora), spray it directly on the brush and then rub the bristles against a thich tissue. 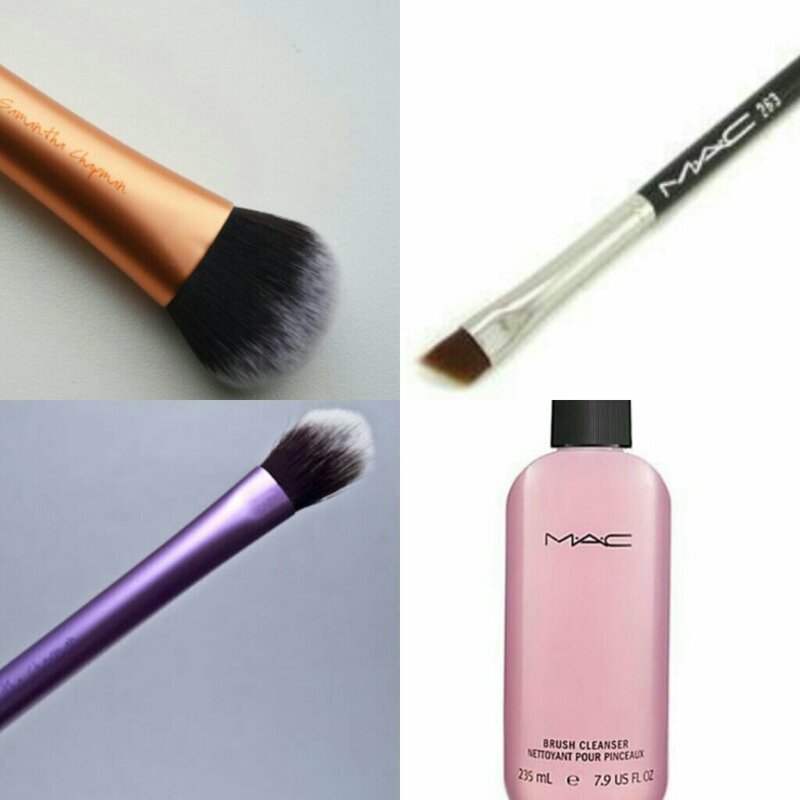 I hope this blog post was helpful and I am curious to know what your top 3 brushes are! New babies I just purchased. They will be here some time this week! 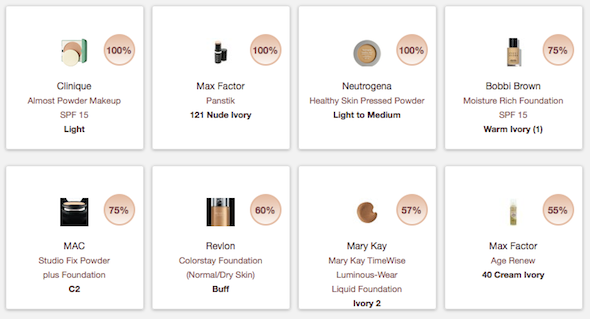 Quick tip of the day – Foundation Matrix! If you are a make-up junkie like me you probably did this many times. You tried a foundation for a while but now you want to explore other textures or brand, but as the make-up industry offers so much on the marked already, you probably do not want to go to all the make-up counters and ask the same thing everytime. With Findation you can easily find your match simply by inserting your current foundation shade + brand! All you have to do is select your current foundation brand, product and shade et voila’! I hope you try this and let me know how it worked for ya!